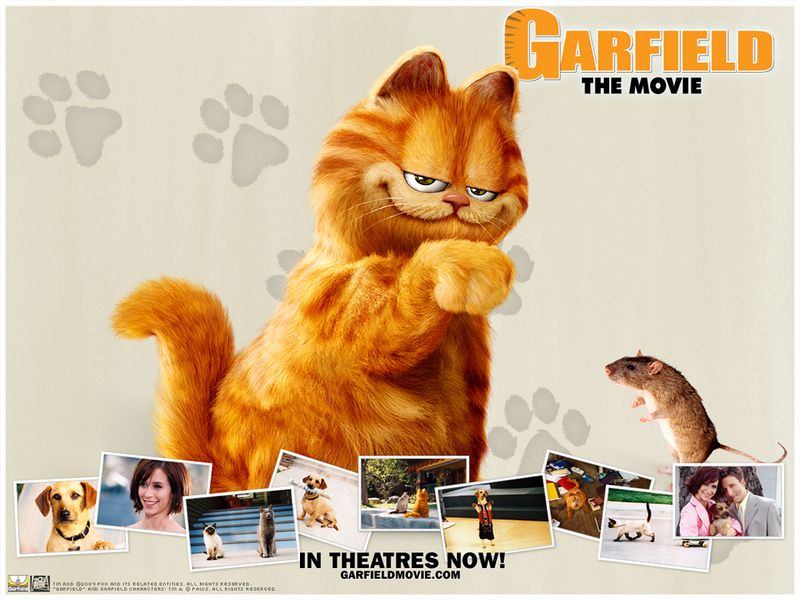 garfield the Movie. . HD Wallpaper and background images in the garfield club tagged: garfield odie funny comics. This garfield wallpaper contains tom, tomcat, and tom tomcat. There might also be gatinho,, gatinho gatinho, gatinho, gato, gato verdadeiro, gato gato, gato de verdade, malhado, rainha, tabby rainha, and tabby. my favrite show is garfield, but the movie picture of garfild is so mest up man. but i do like the cartoon picture of garfield on the beach.lol it is on the side of the big picture.p.s GARFIELD ROCKS!